Samrat (Mohit Malik), the male lead of Zee TV’s Doli Armaanon Ki (Lies of The Heart) by (Spellbound Productions) is a clever manipulator and will do anything and everything to get his wife Urmi (Neha Marda) home. After failing in all his villainous ways to get her back, he will now employ the sweet and caring way to find results!! But his sweetness will be towards his son Shaurya (Mitansh Gera) this time around. As per reliable sources, Samrat will now try to brainwash Shaurya by sweet-talking with him. He will get Shaurya home, make him happy by buying him all that he wants. He will tell Shaurya that he is the one who can keep him happy with all the luxuries, and that he would need to prompt his mother to get back home. The agenda of Samrat will be to brainwash Shaurya to such an extent that he would go and tell Urmi that he would want to stay only with his father. According to Samrat, Urmi’s biggest strength lies in her kid, and when Shaurya will want to stay with his dad, Urmi will be left with no choice but to get back to Samrat. 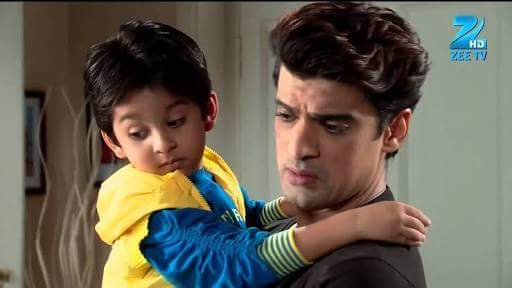 In the coming episodes, Samrat will be seen taking Shaurya from the school and spending quality time talking to him at his home. He will later drop Shaurya back to his house and will be seen meeting up with his son quite often, which will leave Urmi baffled. Will Samrat be successful in getting Shaurya on his side?